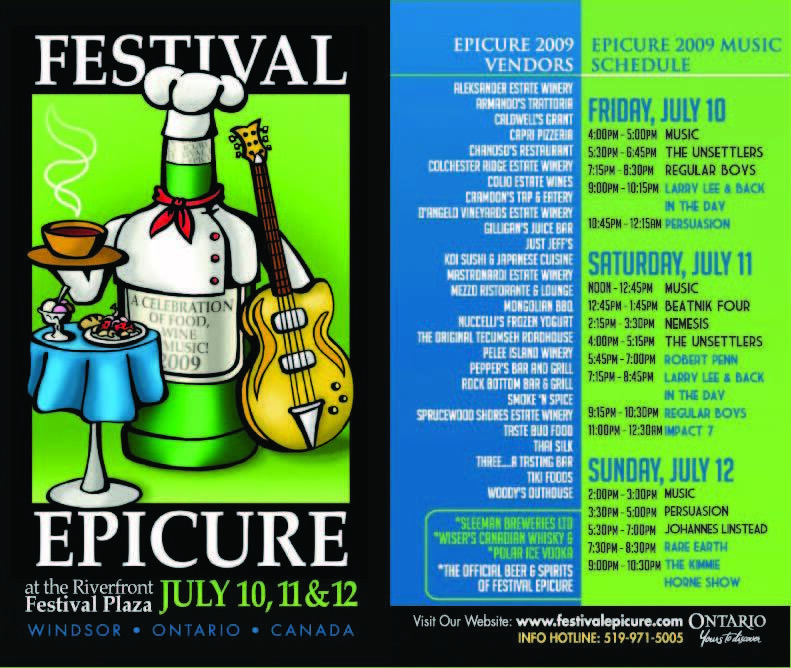 Festival Epicure is going back to its roots for 2009. All restaurants will be featuring incredible offerings from $4.00 – $6.00 (excluding Woody’s full servings of their incredibly delicious ribs). Couple that with the best R&B/Jazz, blues, Motown and indie rock and you have a can’t-miss weekend. It all culminates Sunday with performances by award winning nouveau flamenco artist, Johannes Linstead; legendary Motown artists, Rare Earth; and closing with the Kimmie Horne Show. As always, a portion of proceeds to benefit the Kidney Foundation of Canada. Just bring your appetites, sunshine is always included. See you July 10, 11 & 12!